The Robert Yin SPIRIT Foundation Inc. is giving an $5000 annual SPIRIT Scholarship to a Wootton High School Senior beginning in 2011. Also up to 5 WHS seniors will be awarded $100 each for their essays and YouTube videos. Deadline is April 1, 2011. In sympathy and in thanksgiving for Robert, who in his death donated his organs to give others have a second chance for life, we wish to make you aware of this wonderful scholarship offering. What do you think about Robert donating his? Have you considered registering for organ donation? Would you like to know more about it? 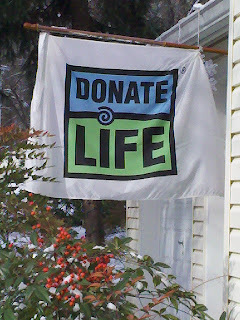 See the Washington Regional Transplant Consoortium website for more information, at www.wrtc.org.